It’s a normal reaction to be clueless about vehicle maintenance when asked to perform the task or understanding what needs to be done. Now what is the first thing that comes to mind when maintaining your vehicle? It is using the vehicle owner‘s manual for guidance which is the most important step when performing a D.I.Y vehicle maintenance but we strongly recommend to leave your car in a professional car servicing workshop. 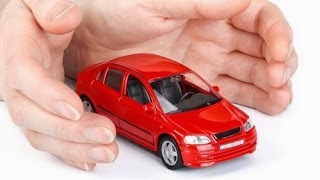 The vehicle owner’s manual has a whole set of safety tips and guidelines for you to follow through when conducting checks and also comes with detailed hands on maintenance instructions for your vehicle. Here we have a generic set of checklist for you to maintain you vehicle easily with less hassle. Now, let’s look into maintenance of the Engine Compartment, it is firstly good to check on the engine oil for its sufficient level of engine fluid based on the dip stick which is attached to the knob of the engine oil cap. Always ensure that the check is made after the vehicle has cooled down, this is due to inaccurate readings from expanded engine oil which is originally caused by heat from the engine. The next important fact to know is the colour of the engine oil, if it is of black or golden colour, it is the norm. But the engine oil has traces of red or green, it is time to change the oil. The rule of thumb is to change the engine oil is to refer to your vehicle owner’s manual for guidance as every vehicle has different specifications and maintenance practices. For engine coolant, it is of the same principle as the engine oil. Do check for colour of the coolant and fluid levels. The next component of the car is the most neglected area during maintenance, the windscreen wipers. To ensure the clarity of your windscreen when driving in dusty or raining situations is the job of the windscreen wipers. The most important tip to take note of is the wiper blade which must be effective to clear almost all foreign particles and substances off the windscreen. It must be replaced once it has lost its effectiveness to perform this task. Taking the most brutal punishment of all the vehicle parts in a vehicle are the tires. Tires are best checked for the air pressure to ensure if there is sufficient air inside it to maintain its traction and durability. Tire treads and balance is the next important factors to ensure the safety of the vehicle with the driver and its passengers or goods it carries. Making sure that the tire treads are not wore off terribly and the balance of the tires is in line with the guideline provided by the vehicle owner’s manual. With most of these tips, you can be assured that your vehicle will be in good performance, safe to use and last a very long time.